iCompare Beauty is your reliable, quick and easy guide to finding the right beauty treatment for your specific needs. With iCompare Beauty, you evade the tedious process of browsing through the internet, calling up various spas or checking out the newspapers for the latest deals. Here, you can simply compare and select the best offers from our bevy of recommended spas and salons. iCompare lets you select from a variety of exclusive beauty deals, browse through other consumers’ unbiased feedback, book an appointment and write reviews online. For a cost-effective beauty journey, iCompare is the most convenient route for you. Monitoring the ROI is easy! Spa Infinity brings you down the timeless path of ancient healing treatments. Located just a stone´s throw away from Singapore´s lively shopping belt, it is furbished with intimately furnished treatment rooms and exclusive couple rooms. 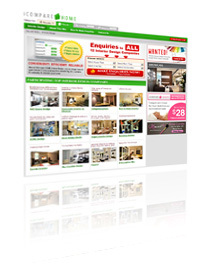 iCompare Home is the ideal, one-stop portal for your home design and renovation needs. Compare and choose from among our top and meticulously-selected roster of professional interior design firms. Each interior design firm showcases unique home designs to match a wide spectrum of personalities. Leaf through their design portfolios, select the interior design firm that best suits your requirements, set an appointment, and you’re good to go. Only iCompare allows you to simultaneously send inquiries to multiple interior designer companies in three easy steps. iCompare offers convenient home design canvassing at its optimum. iCompare Home helped generate leads for Add Space. Established in 1978, Addspace believes in creating dream homes for people. Having completed more than 10,000 projects, this experienced company promises the best in personalized service within the design and renovation industry. Komart.sg is Singapore’s new skincare and body wellness online retail store that carries a variety of popular skincare brands from Korea, all priced at a bargain. It is created on the concept that beauty is easily accessible and everyone should be able to achieve healthy, beautiful and radiant skin in an inexpensive way. Komart.sg is committed to make customers’ shopping experience as easy, quick and inexpensive as possible while providing quality skincare that features only premium and wholesome ingredients. Through the online shopping site we developed, sales increased by an astounding 500%! Komart.sg offers an efficient and cost-effective shopping experience. You can get deliciously beautiful with just one click. 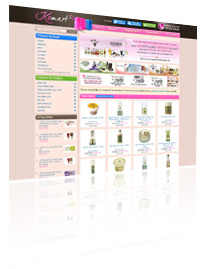 With Komart.sg, you can now online access to a variety of affordable Korean beauty products, hassle-free. © 2008-2011 STYLEZ PTE LTD. All Rights Reserved.